As I conducted research to put together a variety of content for BattleTech, I also stumbled upon some interesting related products worthy of mention. Granted nothing is going to fully replace the all metal goodness that only Iron Wind Metals can provide when it comes to officially licensed models for BattleTech. The models from Heavy Gear and CAV are also pretty tough to replace for those games too, but there are many players out there who don't mind using proxy models. I stumbled across an option which I think are quite fitting to be decent proxies for BattleTech, Heavy Gear, CAV and most other games where a Mech-like model can be found useful. Heck I think these might even fill in nicely as the robot-race for Mutants and Death Ray Guns too in 28mm scale. Red Shirt Games is a small company out of Canada. They sell a boxed set of models called Steel Warriors. Steel Warriors comes as a box of 30 plastic models. After opening the box inside is six sprues worth of models, with 5 models per sprue. There's also a sheet inside which shows you some of the possible ways you can build their models with the pieces provided, and there's a bag with 30x plastic hex bases provided as well. Technically each sprue has three different sculpted models on it. Therefore there's 2x of one model, 2x of the other model, and 1x of the model which has the chicken-walker-like legs. You'll also find 3x single barrel cannon ambidextrous-like arms, 2x double barrel cannon ambidextrous-like arms, 2x right arms with a single barrel cannon on it with a high pointed shoulder pad, 2x left arms with a flamer-looking weapon, and a high pointed shoulder pad and 2x missile launchers. The beauty of this set is that the models bits are interchangeable, so you can customize which arms to use on each model. There's also two leg parts for a right and left leg, and a single body chassis, which only works with each other to build the two-legged chicken-walker body. It's clear that the missile launchers provided fit only onto the walker-model snug, but to mount them on the other models you'll need to use some glue, as the hole is a wee bit bigger than the arm posts on the other model torsos. However these are plastic models, and modding them would be quite easy. By looking at their own webpage, it's clear that modding is what they did to come up with some of the designs they show off there. Variety is a good thing and with a box of these you really can put together quite a unique assortment of Mech-like models as my photographs reveal. They claim there's about 40x possibilities in a single box. Strictly looking at the sculpts I think they're okay, and visually they're somewhat appealing. They're not ugly by any means, but they're not as crisply detailed, or pronounced detail-wise as the metal models I've seen from Iron Wind Metals or Dream Pod 9's Heavy Gear. There's definitely detail on the models, but it's sorta clunky in some places, if that makes any sense? One detail specifically on a model ended up blending right into another detail, which made painting that leg a little challenging. They're not perfect for sure. All of the models and sprues are molded in a silver/grayish tone plastic. The mold lines are also very much in your face along the profile of each model too. It will take some time to clean up an entire box of these for assembly and primer, because there's 30 models here. I've seen worse models though, so these aren't that bad. Plastic is usually easier to clean up mold lines from than metal, which is a plus. Most of the arms also fit on each body snug, so you can assemble these without any glue if in a pinch. Only the missile launchers seem problematic without any glue. It always comes down to money in the end, and financially speaking I think this set will impress most gamers. 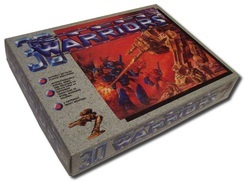 A box of Steel Warriors is just $20 USD, plus $15 for shipping. What I don't understand is why the shipping is so high. They appear to have a flat rate of $15 for anything under $50. Still even $35 for 30x models is quite a good deal in the end. That's still just $1.16 USD per model. 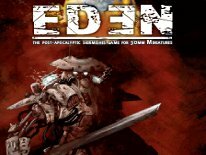 Red Shirt Games is also running a crazy special at their website at the moment. They're currently offering six boxes of Steel Warriors (180 models in all) for $85 delivered to anywhere in Canada/USA. That's 47-cents per model via that deal. I honestly don't know who in the right mind would ever need 180 of these, but a gaming club could get together and pitch in and benefit from a deal like that I'm sure. Size-wise one of them is about as big as a Light Mech, the 2nd one about as big as a Medium-class Mech, and the chicken-walker model is almost as big as a Heavy/Assault class Mech from BattleTech. Steel Warriors might not impress a diehard BattleTech player who has already seen and owns the metal models from Iron Wind Metals, or veteran Heavy Gear and CAV players. However someone just getting into BattleTech, or Heavy Gear could end up with 30x models for the price of just 3x metal models from Iron Wind Metals or Dream Pod 9. Steel Warriors is really the kind of option that I think is worth pursuing for the gaming enthusiast who's just getting into a Mech-game like BattleTech or Heavy Gear, but can't yet afford to purchase all of the models they'd really like to pickup. I also think it's an outstanding option for a gamer who really isn't certain if BattleTech or Heavy Gear is completely for them, and they don't want to make a major investment before actually getting in some game-time. These are unquestionably better than any of the paper models I've seen out there too. In reality you'll end up with 12x of the small body, 12x of the medium size body, and 6x of the chicken-walker body, all of which you can pick and choose which arms they're outfitted with..
Due to their size I can see these being useful for 25mm-28mm sci-fi gaming as well. I also thought it was a really nice bonus that they include 30x plastic hex bases with the models. With a rulebook of the game you want to play, a handful of dice and this Steel Warriors boxed set, you pretty much have most of what you need to get started with most any of the Mecha-like games that are out there. At a little over $1.16 per model there's a lot of value to be had here. I can't think of anywhere else you can find 30x decent looking plastic Mecha models, with a variety of build possibilities, complete with hex bases no less for $35 or less. One could argue that there's the upcoming BattleTech Introductory Boxed Set, which will likely sell for $40-$50 USD, which also comes with about two dozen nice official BattleTech plastic models, but the last set is out of print and the new one won't be done until Winter 2010. This leaves the Steel Warriors boxed set in the running for best deal in plastic Mecha-models at the moment. I also learned that these are the same exact models available from EM4 Miniatures in the UK, the only difference is that they sell them in single sprues of 5 models each for 2.50 GBP/$4.00 USD, and they call them Mechs even.